In this guide we will walk you through the set-up and management of the Quickbooks integration with Pleo. You will learn how to create the Pleo Account in Quickbooks. For those of you who prefer a video, please take a look at the below video. Otherwise we have written the instructions underneath. 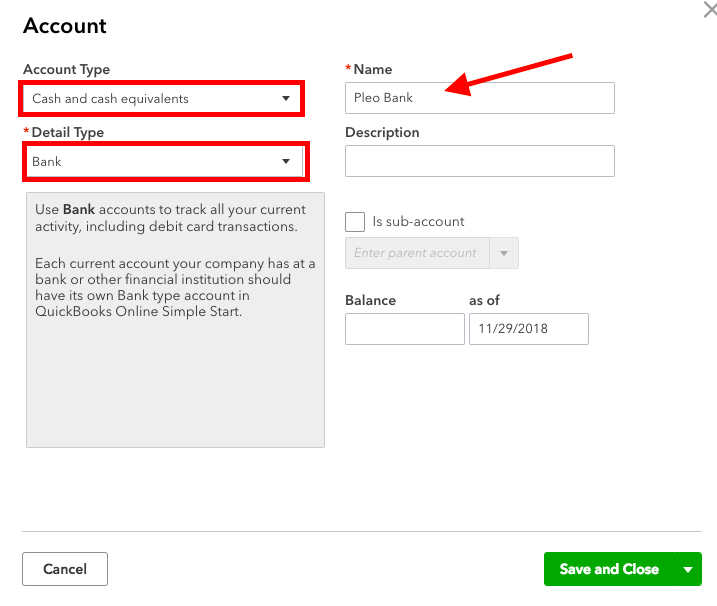 How can I setup the Quickbooks Account for Pleo? How to import transactions from Pleo? Download the Quickbooks csv from Pleo (Export -> Select timeframe -> Export) and upload it in Quickbooks under the previously created Pleo Bank Account (make sure you have set up Quickbooks as your accounting system under 'Accounting' in Settings). Now go to Banking in Quickbooks -> File Upload -> Upload the csv -> Select Pleo Bank Account from the dropdown under QuickBooks Account. Add a suitable account number to each expense (the VAT code will be allocated automatically). Go over the list of expenses and check for the same reference number in your downloaded folder from Pleo and attach each receipt. How to reconcile the Pleo expenses in Quickbooks? Select the expenses that are ready to be reconciled. Then press Batch actions -> Accept selected. How to account for transfers to Pleo? Simply do a normal bank transfer between your normal business bank account and Pleo Bank Account in Quickbooks.